Always in the pursuit of happiness! All local rentals include free delivery and set up. Prices do not include applicable sales tax. Pick up time is no later than 7pm. $45 additional charge applies for water usage on wet/dry units. Choo-choo! 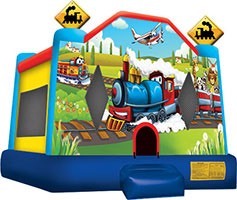 This 14 1/2 ft. x 13 1/2 ft. classic bounce house is made for that train enthusiast in your life. So much fun that your kids will be running on steam in no time! 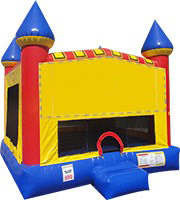 This 16 1/2 ft x 15 1/2 ft bounce house offers more square footage so bring a crowd. Classic styling will fit in with any party theme. 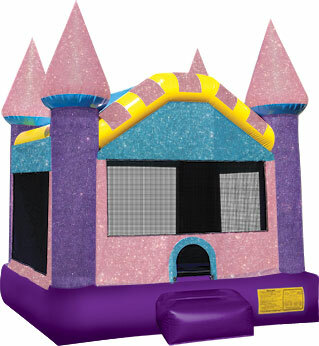 Perfect for your party princess, this classic bounce house shimmers and shines. Go all out with this glitzy update on the classic bounce house. Measures 16′ 4″ x 15′ 4″ and 16′ tall. Entertain your honored guests with this royally cool castle. 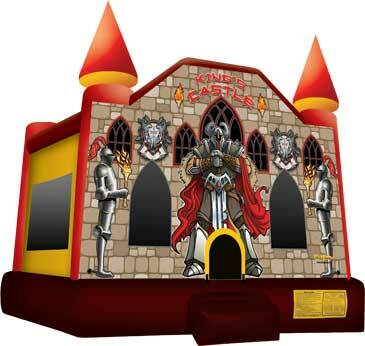 This is a classic bounce house featuring a fierce castle design to complete your themed party. Measures 16’ 4″ x 15’ 4″ x 16′ tall. 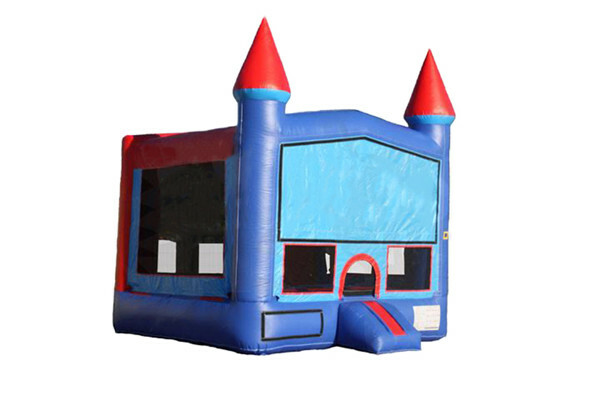 This bounce house features a classic red & blue color scheme and includes a basketball hoop inside. Measures 13’ x 13’. 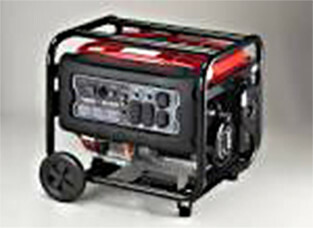 Power your party with our generator. $50 with inflatable rental; $75 without inflatable rental. 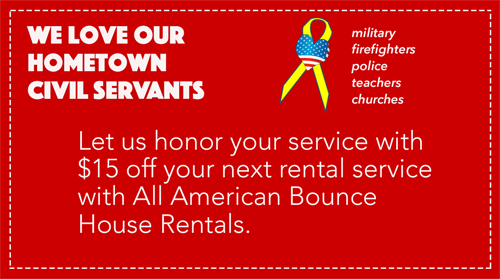 Want to save on rentals? Check out our SPECIAL OFFERS!